I have been working in the search marketing space for around ten years now and have managed AdWords accounts of varying shapes and sizes, but there are multiple features within AdWords that I’ve never used. 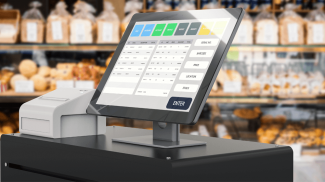 The interface is overwhelming and there are a ton of different levers you can potentially pull to optimize your account. If you’re a small business owner you probably don’t want to become an AdWords expert (nor should you). But you’re spending money on AdWords. I own a consulting company and a web publishing company. I’m not an accountant – I pay a consultant to do that work for me, but when I started my business I still had to figure out some basic accounting terms. What are accounts payable / receivable? What’s the difference between cashed-based and accrual accounting, etc.? I had to figure out how to understand the reports I was getting from my account to effectively run my business. It’s the same with AdWords. You don’t need to be knee deep in your account or actively managing things, but you should have a general idea of how to “check under the hood” to see how things within your campaigns are working, and you should understand what your PPC company is sending you when you get your report every month. To help with that, what follows is effectively what I would want my (mom or dad, friend, aunt / uncle, etc.) to know if they were spending money on AdWords for their business. 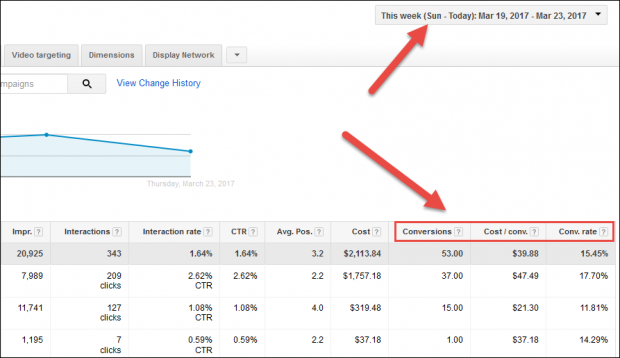 It’s a step-by-step guide of where and how to look at your Google AdWords account to help you understand what’s working (and what isn’t). Get Access to Your Account! 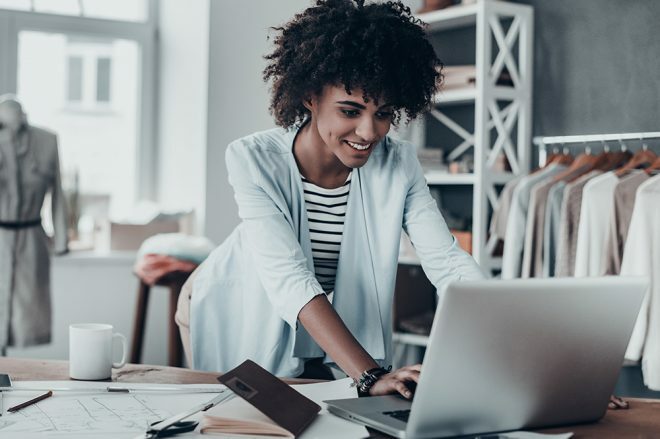 This seems basic, but unfortunately it’s actually fairly common practice for companies that work with small businesses to set up their PPC accounts for them and manage them without allowing the business to access their own account. In most cases I believe this is to help with lock-in (it’s harder for the client to cancel and go to another vendor if they’d need to start from scratch) and to be able to control the flow of information (you can’t poke around and see what they’re doing). There’s no reason you shouldn’t be able to have access to your AdWords account as soon as it’s set up, and there’s no reason you shouldn’t be able to keep control of the account if you sever ties with a PPC consultant. Ask this right up front and make sure you can actually get a login and access your own AdWords account (if not, seriously consider using another vendor). You should absolutely have conversion tracking set up. If you don’t, you should pause your accounts until you do. You should also understand the value of each of these conversions. If you’re a local service provider, every one of those calls won’t result in a job being booked, so you want to either track that all the way through to a sale (or non-sale) or understand generally how those actions typically convert and what they’re worth (for instance if you’re willing to pay $500 in marketing costs for your average job, and you usually book a job from one in every 5 calls, you can use $100 as a starting point for a targeted cost per conversion — that means you shouldn’t be paying more than $100 per call). All of your efforts should be focused around driving conversions (leads and/or direct sales), and you should have a sense of how much you’re willing to pay to for a conversion (is a consulting lead worth $20? Does a request for a quote typically result in a sale frequently enough for you to pay $200 for each one? These are questions you should be answering before you start spending money on AdWords). 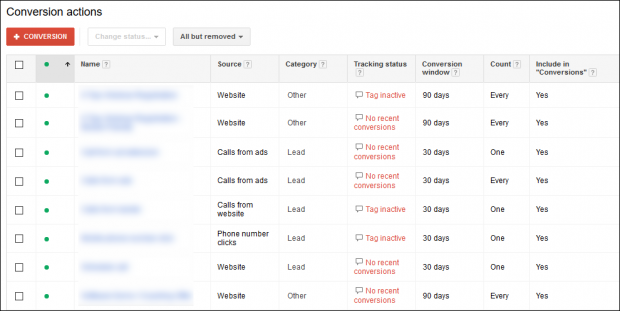 Let’s walk through how to check if you’re tracking conversions. You’ll want to reach out to your agency and ask why not, and how they’re making decisions on how to allocate budget and bids. Make sure you understand what “conversions” are being tracked — ask your agency for specifics and confirm that they’re not tracking things like “views of key pages” or visits with long time on site, etc. — you want to track actual leads and sales that are helping you to grow your business. 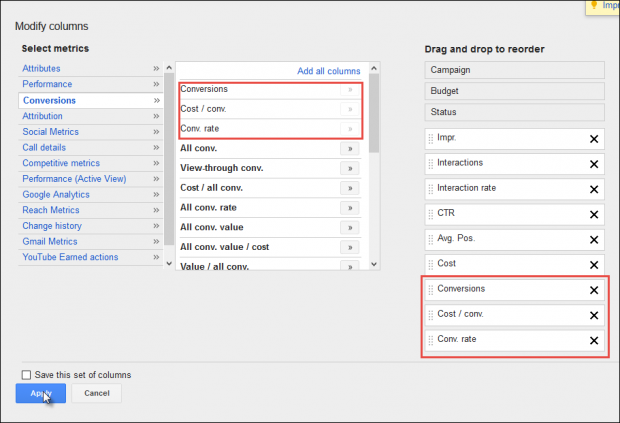 There’s a lot more data you can dive into within AdWords, but this gives you a good, quick view of what conversions look like within AdWords. When you get reports from your vendor, the focus should be on conversions. Paying to get irrelevant traffic to come to a website is very easy, and it doesn’t help your business. Did you know that the keywords you select in your AdWords account aren’t actually the exact searches people perform in order for your ads to show? Google (NASDAQ:GOOGL) uses something called match types to allow your ads to show to different types of searches. In many cases this is great, because it means you can show your ads to relevant searchers looking for variations of your target keywords you hadn’t thought of, but in many cases it can drive a lot of irrelevant traffic. If you’re bidding on the term “masonry Boston” on broad match you might get traffic for something like “find a mason in Boston.” That’s good, right? You might also get searches for “cheap mason in Boston.” Maybe that’s a good term too, but if you’re a high end mason that may be a term that sends irrelevant traffic. Worse yet though is that you might have your ad matched against something like “boston freemasons” which is obviously not likely to drive a lot of leads for your masonry services. From there you can sort by clicks, cost or conversions and see the actual search terms that are driving most of your spend. Are they relevant to your business? Do the terms that are driving conversions look like they’re likely to turn from relevant leads into sales? The report may also give you some valuable insights about your own business: what do people look for related to your services? Which types of search terms actually drive the most business for you? You might also be able to use your PPC data to inform the keywords you’re targeting with SEO. You can answer all those questions and get access to that valuable data now on your own. If your PPC company is charging based on a percent of spend and hasn’t clarified specifically what they’re doing within your accounts, you may be wondering what exactly they’re up to. 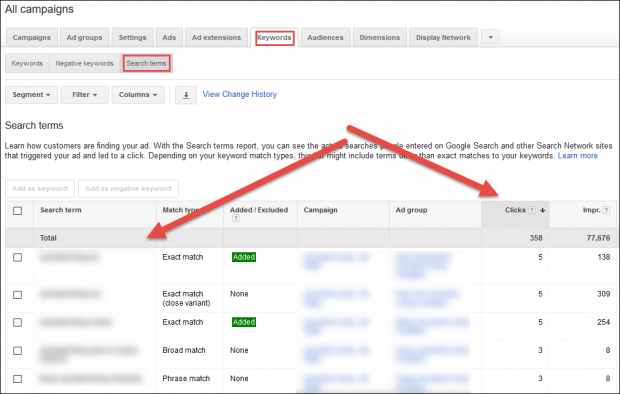 You can actually find out what’s being updated within your AdWords accounts fairly easily. Remember as you look into this that activity for activity’s sake isn’t a positive sign, and the amount of analysis and optimization in your account will probably map to the fees you’re paying (you get what you pay for). If you have a small (hundreds or low thousands per month) monthly AdWords spend you shouldn’t expect major activity within the account every day, and if your AdWords management fees are a few hundred dollars a month you likely won’t be getting multiple rounds of major updates per week, but at least light bid optimization should be performed weekly or monthly within any account where the spend is meaningful to the business. 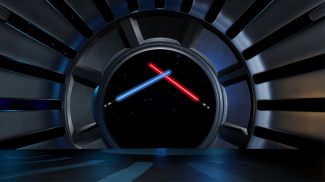 You Know Something’s Broken in Your PPC Account: Now What? So now you know how to poke around within your own account. What happens when you find something you don’t like? Most importantly: what if you haven’t been measuring conversions, and you do and find out you’re paying more than is profitable for your business for your leads? Broad Matched Keywords — By default when you add a keyword to your AdWords account it goes in as a broad matched keyword, meaning Google can match your ads to all kinds of searches that they deem relevant. If you’re a cloud computing company you may get matched to searches about cloud patterns. Google offers exact match, phrase match, and “modified” broad match which are all more restrictive match types and will likely result in better traffic quality. Push your PPC manager to review your search queries and consider limiting your match types to one or more of these more restrictive options. Account & Ad Group Structure — This starts to get a bit into the AdWords weeds (and again you don’t need to have deep expertise on this subject) but each of your ad groups should be fairly tightly themed so that there are only a few related keywords in each group. 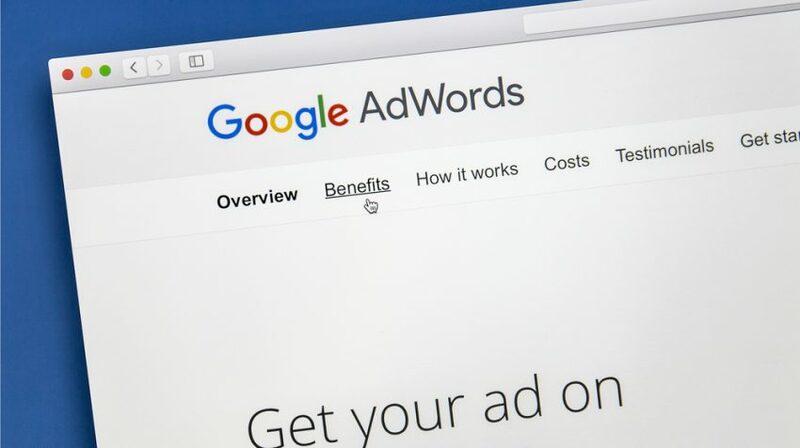 You create AdWords ads for each ad group, so if a single ad group contains terms like masonry, retaining walls, outdoor chimneys and patios it’s going to be very difficult to write a relevant and compelling ad that speaks to all of those different kinds of searches. Ask your agency about how the account is segmented — maybe requesting to review an example of the keywords and associated ads within one of the ad groups to get a sense of how they’re constructed. Any social proof or trust elements you can feature — things like customer testimonials, positive ratings from third-parties, associations you have, publications or TV stations you’ve been featured on, etc. As a PPC consultant I’d be remiss if I didn’t mention: this is not a license to harass and berate your PPC consultant. If you’re paying an extremely low monthly retainer, you shouldn’t expect that your PPC company is in your account every day, creating incredibly granular segmentations, and that your ROI will be off the charts: you’ll typically get pretty close to what you pay for. Your consultant has more knowledge of a complex system than you do. AdWords is an auction system and there are elements of the bidding process that are driven by competitor: you have to let your consultant do their job, and if your top-line numbers are good (and PPC is profitable for you) they probably are. If that’s not the case, however, you should be able to understand what’s happening in your account. Hopefully this article will also give you the tools to help your agency help you by letting you understand what’s happening in your account. You can focus them on what matters most for your business and provide some feedback and direction to help them better execute on your behalf. There’s a lot of useful information in this post. I would like to offer reader to break it down into smaller part make sure they understand one before they jump to the next. I’m an SEO myself and there’s a lot to take in I can only imagine how hard it would be for someone with no experience in the field. That being said it’s well worth the time you put into it. 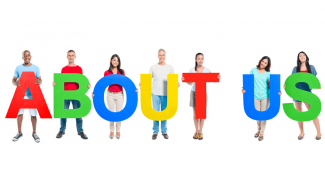 All are great points about Google Adwords benefits for small businesses. Adwords help also specialty shops who are fairly unique within their locality in getting leads.